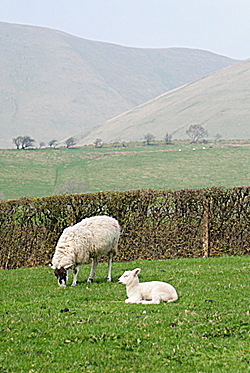 The Howgills in the background of the picture here are still brown from the winter. In fact on the day this photo was taken there were still a few patches of snow on the north-facing slopes. Soon, though, they’ll be greening up. 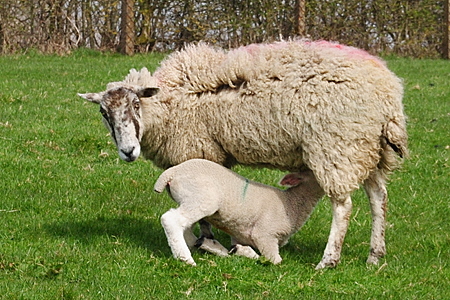 Meanwhile down here on the farm we have a good number of lambs this year. 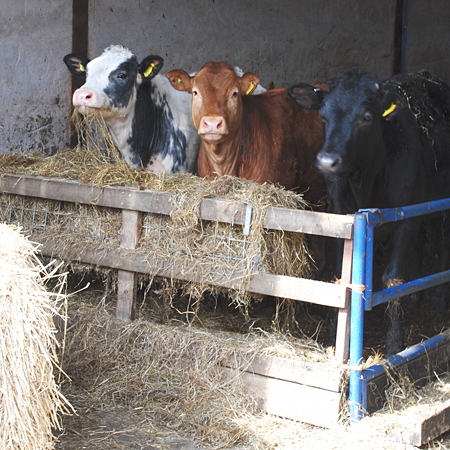 The cattle are still in the barn, comfortably away from the worst of the winter weather but before long we’ll have them out on the fresh grass. Over most of the Easter holiday we had really good weather. Several people with caravans on our static pitches enjoyed a first few days of the 2015 season, and it was good once again to hear the sounds of children playing after the silence of the closed period. For several days the tourers section was almost full, even so early in the year. Who are you? And what’s that thing you’re pointing at us? Once again this year we decided to get some live-in guards for the sheep and lambs. Foxes may look attractive but we’ve no intention of feeding them with our lambs. So here are two of our guards. 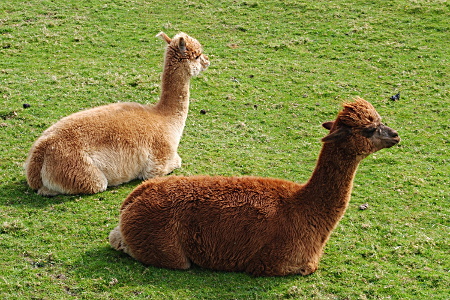 Yes, alpacas! They may look very docile here but have proved very effective at warding off the unwelcome predators. 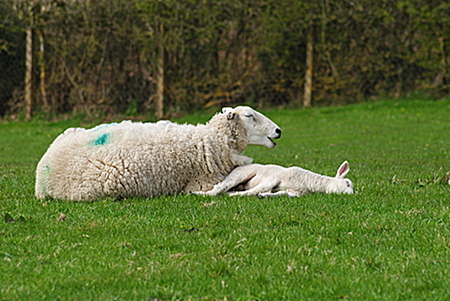 And finally for today, two more sheep and lambs photos. They don’t stay this small for long!